Do you know when the Lock Ness Monster was first reported? 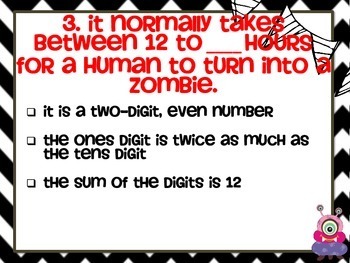 Ever wonder how long it takes for a human to turn into a zombie? When was the first vampire movie released? How much does a silver bullet cost? 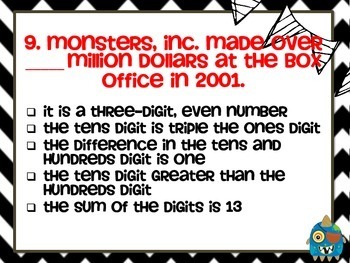 What about how many monsters were in the original Scooby Doo series? 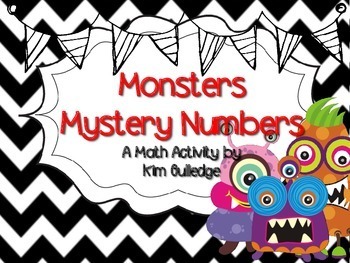 Students will enjoy finding the answers to these interesting "monster" facts by working through some great problem-solving activities. Don't worry... 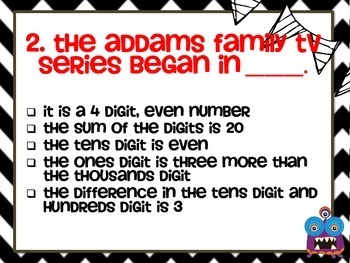 I purposefully made these "non-scary" so you can use them with elementary students.